Paul Evans (PhD Dalhousie) has been a professor at the University of British Columbia since 1999 teaching Asian and trans-Pacific affairs. Paul is the Director Emeritus of the Institute of Asian Research. His academic appointments have been as Assistant, Associate and Professor, Department of Political Science, York University, 1981-97; Director, University of Toronto - York University Joint Centre for Asia Pacific Studies, 1991-96; Visiting Professor, Asia Center, Harvard University, 1997-99; Acting Director, Liu Institute for Global Issues, 2004-5; Director, Institute of Asian Research, 2008-11. Between 2005 and 2008 he was on leave from UBC to serve as the Co-CEO and Chairman of the Executive Committee of the Asia Pacific Foundation of Canada. A regionalist rather than country specialist, he has held visiting fellowships at the Australian National University (1988); National Chengchi University (1989); Chulalongkorn University (1989); the East-West Center (1995); and the National Institute for Research Advancement in Tokyo (1999). He has been a Visiting Professor at the University of Hong Kong in 2011 and 2013 and Singapore Management University in 2015 and 2016 as head of the International Academic Advisory Panel for its School of Social Sciences. 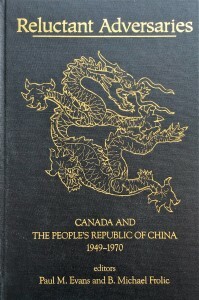 The author or editor of eight books, his first was a biography of John Fairbank, his best selling with David Capie, a lexicon of Asia Pacific security terminology, and his most recent Engaging China: Myth, Aspiration and Strategy in Canadian Policy from Trudeau to Harper, published in 2014 by the University of Toronto Press. An advocate of cooperative and human security, he has been studying and promoting policy-related activity on track-two security processes and the construction of multilateral institutions since 1988. He was a co-founder of the Council for Security Cooperation in Asia Pacific (CSCAP), the Canadian Consortium on Human Security, and the Canada-Korea Forum. He has directed exchange and partnership projects with numerous institutes in Asia and the Chinese Ministry of Foreign Affairs and funded by governments and foundations in Canada, Japan, the United States, China, Taiwan, South Korea, Thailand and Indonesia. A member of the International Council of the Asia Society in New York, he also sits on the editorial boards of The Pacific Review and The Chinese Journal of International Politics, The Chinese Quarterly of Strategic Studies, and Journal Mexico y la Cuenca del Pacifico. He is a Canadian representative on the Expert and Eminent Persons Group of the ASEAN Regional Forum. 29th Asia Pacific Roundtable: Snaptalks” on regional security in Southeast Asia. June 2, 2015. Interview with Wang Gungwu on “Academic Leadership in Asia,” Digital Narratives of Asia, January 2016. “Social Media in China“, The Asia Pacific Foundation of Canada, September 2015. “Canada-China Relations“, The Exchange with Amanda Lang, CBC News, November 2014. 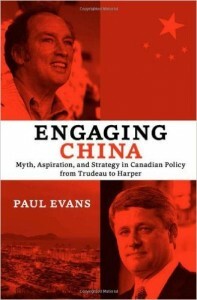 “Joe Clark reviews Engaging China“ on The Next Chapter, CBC Books, CBC Radio, October 2014. “The Importance of Asia to Canada’s Future“, The Canadian Council of Chief Executives, October 2012. With David Capie, The Asia-Pacific Security Lexion, 2nd revised and expanded edition.Singapore: Institute of Southeast Asian Studies, 2007, pp.xv, 248. 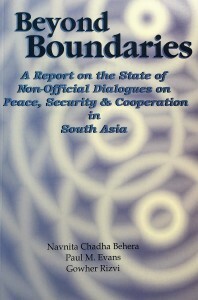 With Navnita Chadha Behera and Gowher Rizvi, Beyond Boundaries: A Report on the State of Non-Official Dialogues on Peace, Security and Cooperation in South Asia. Toronto: Joint Centre for Asia Pacific Studies, 1998, pp.315. Editor and Contributor, Studying Asia Pacific Security: The Future of Research, Training and Dialogue Activities. Toronto: Join Centre for Asia Pacific Studies, 1994, pp.388. 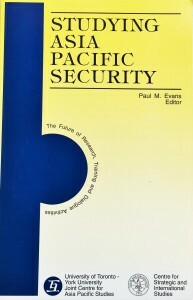 “Preface” (with Jusuf Wanandi), pp.1-3 and “The Dialogue Process on Asia Pacific Security Issues: Inventory and Analysis,” pp. 297-318. With B. Michael Frolic, co-editor and contributor, Reluctant Adversaries: Canada and the People’s Republic of China, 1949-1970. Toronto: University of Toronto Press, 1991, pp.xii, 288. “Introduction,” pp.3-17 and “Epilogue: Canadian Recognition Initiatives, 1958-68,” pp.65-69. 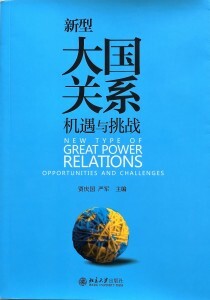 Chinese translation published by the Tianjin University Press, 1996. John Fairbank and the American Understanding of Modern China. New York and Oxford: Basil Blackwell, 1988, pp.xiv, 366. 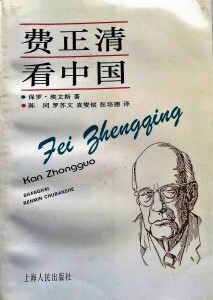 Chinese translation published by the Shanghai Academy of Social Sciences, 1995. “The Future of Canada’s relationship with China,” with Wendy Dobson, Institute for Research on Public Policy, November 2015. With Don Campbell and Pierre Lortie, Securing Canada’s Place in Asia: Means, Institutions and Mechanisms, Task Force Report to the Asia Pacific Foundation of Canada, 52 pp., 6 September 2012. “Middle Powerism in the 21st Century: Mission Impossible?“, Global Asia, Vol. 11, No.1, Spring 2016. “Co-operative Security 2.0,” with Chen Dongxiao, Global Asia, Cover Story, Vol.11, No.1, Spring 2016. “Living with Global China: Agenda 2016,” with Wendy Dobson, Moving Forward: Issues in Canada-China Relations, February 2016. “Southeast Asia, Meet Mr. Trudeau,” ASEAN Focus, Special Issue on ASEAN 2025: Forging Ahead Together, Jan 2016. “Searching for Cooperative Security 2.0: From Security Architecture to Security Order in the Asia Pacific,” China Quarterly of International Strategic Studies, Volume 01, Issue 04, December 2015. “Close Encounters: How Best to Deal with a Rising China,” Literary Review of Canada, July-August 2015. “A November to Remember in Asia,” Embassy Magazine, 26 November 2014, p. 14. “Scholars and Policymakers: Asian Pacific Experiences with Policy Dialogues,” in Lowenthal and Bertucci, eds., Narrowing the Gap: Scholarly, Policy Makers and International Affairs, July 2014. “Wanted: A Coherent China Policy,” plus interview with the author, Open Canada, 4 May 2014. “Between Truth and Power: Kim Kyung-Won, 1936-2012,” in Han Sung-Joo, editor,Thoughts and Wishes of a Liberal: Writings of Dr. Kim Kyung-Won, Seoul: Joong An Books and Company, 2013, pp. 36-58. “A Farewell to Trans-Pacific Cosmopolitanism? On the Passing of Robert Scalapino, Kim Kyung Won and Yamamoto Tadashi,” Global Asia, Vol. 8, No. 4, Winter 2013, pp. 83-88. “Dancing with the Dragon,” lead essay in the Literary Review of Canada, April 2013. “Canada and the Halperin Plan: Temper Expectations,” Policy Forum, The Nautilus Institute, 19 March 2013. With Fen Hampson, “Remembering W. Thomas Delworth,” Asia Pacific Foundation of Canada, 30 October 2012. With Don Campbell and Pierre Lortie, “Wanted: A Canadian Full Court Press on Asia,”Embassy Magazine, 12 September 2012. “Engagement with Conservative Characteristics: Policy and Public Attitudes, 2006-2011,” in Pitman Potter and Thomas Adams, eds., Issues in Canada-China Relations. Toronto: Canadian International Council, 2012, pp. 19-30. “Is Rousseau Still Right? The Recurring Allure and Uncertain Prospects of Northeast Asian Regionalism,” Journal of American-Canadian Studies, Nov VI, No. 2, Spring 2011, pp. 1-8. “Historians and Chinese World Order: Fairbank, Wang and the Matter of ‘Indeterminate Relevance’,” in Zheng Yongnian, ed., China and International Relations: The Chinese View and the Contribution of Wang Gungwu. London: Routledge: July 2010. Translated and reprinted as “Os historiades e a ordem mundial Chinesa: Fairbank, Wang e a questao da relevancia,” in Politica Externa (Brazil), Vol. 19, No 3, February 2011. “What is Canada’s China Strategy?,” Asia Pacific Memo #45, 10 December 2010. “25th Anniversary Tribute to the Asia Pacific Foundation of Canada,” November 2010. “Singapore Debates America,” August 2010, PacNet Number 40; reprinted in RSIS Commentaries No. 104, 1 September 2010; and digested as “Diverse Views of US Role in Asia,” in the Straits Times, “Review and Forum, 2 September 2010. “Academics are as Polarized and Dispirited as Their Nation,” Asia Pacific Memo #1, 8 July 2010. “Chinese Views on World Order: Implications for Canada,” Optimum Online: The Journal of Public Sector Management., March 2010. “Asian Power Shift: Ready or Not”, in Fen Hampson and Paul Heinbecker, eds., Canada Among Nations 2009-2010: As Others See Us. Montreal: McGill-Queens University Press, 2010, pp. 115-22. “理解和运用“保护的责任”原则：走向一致 [Interpreting and Applying the Responsibility to Protect: Paths to Common Ground]”, 新型大国关系：机遇与挑战 [New Type of Great Power Relations: Opportunities and Challenges], February 2015. “诠释与落实“保护的责任”：通往共同点的途径 [Interpreting and Applying the Responsibility to Protect: A Path to Common Ground]”, 国际政治研究[The Journal of International Studies (Peking University)], Summer 2014. “人的安全与东亚：回顾与展望 [East Asia and Human Security:Review and Prospects]”, 世界经济与政治 [World Economics and Politics], June 2004. 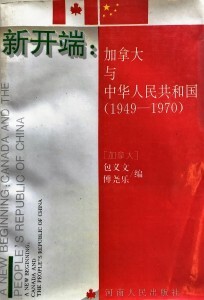 “新开端：加拿大与中华人民共和国（1949-1970）[Reluctant Adversaries: Canada and the People’s Republic of China, 1949-1970], 河南人民出版社, September 1995. 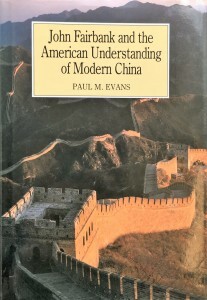 “费正清看中国 [John Fairbank and the American Understanding of Modern China]”, 上海人民出版社, May 1995. “Canada-China Relations and the Evolving Roles of Universities: Towards Partnerships 2.0,” in Ruth Hayhoe, Qiang Zha and Julia Pan, eds., Canadian Universities in China’s Transformation: An Untold Story – forthcoming July 2016, at McGill-Queen’s University Press. A second, revised edition of the John Fairbank biography. Initial intellectual portraits of 6 leaders in trans-Pacific community building. 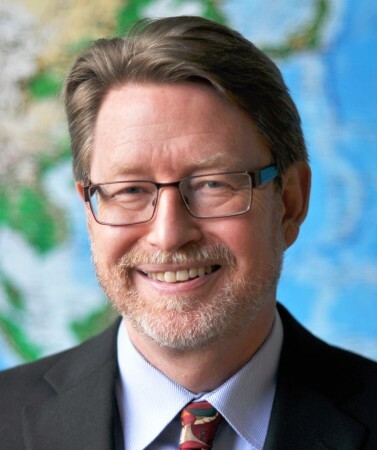 Paul Evans currently offers two seminars, one on “Global China and World Order,” and a second on “Canada and Global Asia,” as well as leading a Global Policy Project for the Masters of Public Policy and Global Affairs graduate program. IAR 515C, “Global China and World Order,” an integrated graduate/undergraduate seminar. Fall 2016. To view the syllabus, click here. Political Science 464B, “Canada and Global Asia,” a seminar for 4th year undergrads in the International Relations Program. Fall 2016.